Digication is the leading provider of ePortfolio and assessment management systems. Digication develops its platform with all educational stakeholders’ needs in mind and enables institutions to close the loop that links student learning to institutional assessment and reporting. In short, Digication helps institutions realize their mission every step of the way: from providing an engaging environment for active learning and enabling faculty to enhance their pedagogical strategies to enabling student career readiness, faculty development, and data-driven planning for institutional improvement. Digication’s platform is flexible and allows for customization; students, educators, and administrators can leverage it effectively to meet their distinct goals. Our commitment to support the needs of all stakeholder groups led us to create an award winning ePortfolio system and to integrate it with an Assessment Management System that promotes evidence-based assessment at all institutional levels. Students at more than 5,000 institutions use Digication at all levels from K-12 through higher education. According to a survey conducted by the Association of American Colleges and Universities (AAC&U), over 65% of higher education institutions in the United States were using ePortfolios in at least some parts of their campus. Digication’s growth has been largely reflective of the mainstream adoption of ePortfolios. According to an ongoing survey conducted by Connect 2 Learning (C2L), a FIPSE funded project, Digication is by far the current market leader in the US higher education market. Digication is currently comprised of 30 employees and has been steadily growing each year. Digication is privately owned and profitable. Your school will be provided with a dedicated, experienced team to support your ePortfolio implementation strategy and long-term sustainability of the project. We hope you will speak with customer references regarding what their experience has been like working with us. The collaborative relationship Digication shares with its customers sets us apart from the competition in the ePortfolio field, but it also sets us apart from other technology vendors campuses work with. We are in it together. We are extremely devoted to the success of ePortfolios at each school we work with – and not just overall project success for the institution, but the success of all end users too. We are extremely responsive to customer and end user feedback, suggestions, and ideas. The different ways in which schools put our technology to work excites us. We are inspired daily by the work faculty and students share in their ePortfolios, and are continually and iteratively making improvements to the technology to better serve our growing community. We’ll be in close touch with you via phone, email, webinars, and onsite visits too. Jeffrey Yan and Kelly Driscoll, co-founders of the company, created Digication while they were teaching in the architecture, digital media, and education departments at Rhode Island School of Design. Additionally, Jeffrey Yan was the director of a digital media program at Rhode Island School of Design where he managed its curriculum as well as its accreditation process. Many of the company beliefs about education are influenced by the inquiry, discovery, critique, and showcase-based pedagogy Yan and Driscoll experienced while studying and teaching at Rhode Island School of Design. Digication is founded on the idea that "everyone involved is a learner". In fact, we often describe ourselves (as teachers) as "lead learners". We believe that many educational institutions place too much focus on content transfer and content acquisition. We believe that all 21st century learners should be able to solve complex problems using higher-level thinking skills (skills that are not easily, if ever, replicable by machines or cheap labor), and at least an equivalent amount of focus should be placed on metacognition, through rigorous discovery and experientially-based learning. Such a learning paradigm shift should be centered around the learners, both as individuals and as communities of learners. Furthering ownership of their work and the process of lifetime learning, students should be able to continue building their ePortfolios after they graduate. But more than just offering the option to extend their ePortfolios beyond their academic years, we believe that it is paramount to help develop a strong culture of learner-centered approach to education so that all learners can develop the habits of reflection through their daily activities. In Digication, every learner can create an unlimited number of ePortfolios. Each ePortfolio can have different levels of permission settings. ePortfolios can be set to be private for the creator, private to any single user or group of Digication users, or public to the world. In addition, Digication can integrate with all course registration systems so that ePortfolios can be shared with an always up-to-date roster of students and faculty within any course one is taking. One subtle but important design decision of Digication: teachers do not "hand out" ePortfolios to students to be "filled out" rather, students get to create ePortfolios (from scratch or based on pre-built templates) and they get to grant access to their teachers. It is one of many ways that Digication supports a truly student-centered approach to ePortfolios. As part of a coherent user experience, Digication first makes sure that the correct ePortfolios are available to relevant learners. We do so by providing an ePortfolio directory that can show the appropriate ePortfolios based on their permission level and the login status of the person viewing the directory. Users can search and browse through any ePortfolios that are shared publicly, semi-privately, or privately if they have permission to do so. Peers and faculty can leave comments on any ePortfolio pages. In addition, with our fully-integrated assessment management system, Digication provides an easy way for faculty and peers to leave both formative (written comments) and summative (rubric based) feedback for each other. Digication supports the ability for schools, programs, or individual faculty members to create ePortfolio templates where reflective prompts can be used to support and encourage the reflection process. From simply suggesting titles of a page to full fledge generative knowledge interviewing processes, educators at different institutions and disciplines have been able to customize templates to accommodate many types of reflections. In addition, through our integrated assessment management system, we have the ability to let faculty members facilitate more sophisticated learning processes through customizable workflow through an intuitive user interface. Digication has a unique approach in regards to institutional level assessment needs. Traditionally, most tools have had to choose to either support unstructured (but expressive) ePortfolios or structured (but limiting) ePortfolios. Neither way has worked for institutions: unstructured ePortfolios are "hard" to assess and structured ePortfolios do not encourage students to document authentic learning experiences. Digication supports both through a unique mapping process. Students can freely create ePortfolios and submit only relevant pages to any assignments/projects in courses that they take. Faculty or the institution can create different contexts in which to collect student work whether it is by learning outcomes or by projects and assignments. Each of the contexts can be mapped to one or more learning outcomes. 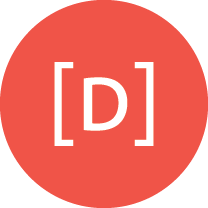 During the submission process, Digication creates a permanent archive of the submission so that students can be freed to further edit their "live" ePortfolios while allowing institutions to retain non-editable, permanent, and timestamped copies of any ePortfolio submissions. Digication also supports the process of letting programs randomly sample and assign committee members to perform assessments using rubrics retrospectively. The results can then be shown in reports for accreditation and for curriculum development. As the leader in the ePortfolio space, Digication envisions the company and its products evolving significantly over the next five years as we lead major shifts in the utilization of ePortfolios and assessment practices in schools across the country. We aim to disrupt old models of ePortfolios used only as file repositories for general education assessment, but as a platform that truly engages students and significantly increases the value of their education experience by allowing them to see their learning and skills develop over time. We want assessment practices to provide students with important information about their development as part of their day to day classroom experience to inform their decisions about courses to take, what to major in, what types of jobs to apply for, and to set goals for themselves both personally and professionally. We want them to feel deeply connected to their work and their peer community through their ePortfolios and the social pedagogy they support. We want faculty to have a closer connection to their students, and more information about their learning and development by viewing their ePortfolios. We want institutions to be able to harness authentic evidence of student learning, not just test scores and data from anonymous surveys to gauge the success of their programs and curriculum. We want to make more informed, data driven decisions to better the student experience. We want to drastically improve the education experience for students, faculty, administrators, and alumni. We’ve already seen seismic shifts occur in the campuses over the last twelve years. We have been working with schools and continually developing the Digication ePortfolio & Assessment Management System platform to enable schools to accomplish what we have described above. We are well poised to expand our reach into many more schools over the next five years as we exponentially increase the number of customers we work with each year and maintain 96% customer retention. Over the next five years we will also continue to form important strategic partnerships with other education technology companies and aim to create strategic alliances with social media platforms. Digication launched its Blackboard Building Block, LTI Integration with other popular LMS platforms, and Pearson edTPA integration We will also be announcing other exciting partnerships. Partnerships with other education technology companies and social media platforms will provide great value for current customers and will also make the adoption of Digication more and more seamless for schools that are ready to start their ePortfolio projects or work with a more innovative ePortfolio partner. Digication has been extremely successful at linking student work to learning outcomes and we are working on how we can add additional value to the existing model by intelligently making meaning of micro-interactions that happen on a day-to-day basis. These micro-interactions consist of everything from reflecting on one’s work, to collaborating with a peer’s portfolio, to having a conversation with an advisor, to interacting with potential employers. With the advances in the fields of machine learning and big data, Digication will help institutions and individuals create learning topologies that reflect the unique learning paths and styles of each student. An organically created topic specific taxonomy will be maintained based on the inherent social interactions that exist in the collaborative learning environment. We believe it will provide much richer insights to our students’ capacities and allow assessment to be a useful tool for both the individual and the institution, from the micro to the macro. We believe that it is the right of every learner to be able to use the same longitudinal analytic power that is currently only available to institutions in order to make informed decisions while at school and just as importantly, after graduation. Digication has a tradition of creating some of the most intuitive user interfaces that are easy to use for students and faculty. As we all know, technology changes at lightning speed. Digication will continue to advance its design and user experiences, taking advantage of everything from new browser features to mobile and wearable computers. As an enterprise application for over 5,000 schools and growing, Digication will continue to invest in creating the most robust administration tools that allow institutions to manage their system. Utilizing some of the newly available analytics technology, Digication will be providing more customizable monitoring dashboards for administrators. Administrators can be alerted proactively when a student or a program needs help. One of the most exciting advances in recent computer science is in the field of “big data." It refers to traditional analytics of data, but at an unprecedented scale. More than ever before, we now have more flexible ways to track data as well as generate reports. This allows institutions to go beyond addressing accreditation needs. Many more ways of visualizating data will be available. The power of such reports will be extended to instructors and students with the appropriate access to their own work. At the same time, the aggregate data will also provide support for state or even nationwide reports for participating institutions. Digication has long been the choice of vendors as the most sought after grant and research partner. It is imperative that the technology development is fully integrated with the pedagogy of institution. Several ongoing research topics include: eTranscript (with Stanford University), student engagement and advanced analytics (with Notre Dame University, LaGuardia Community College, and others), and Generative Knowledge (with University of Michigan). Many more research partnerships are being formed, covering topics from badges, advising, career advancement, and high impact practices just to name a few. Digication realizes the importance of professional and peer support. We are committed to the ongoing support and documentation of our features. In addition, increased support using video tutorials and linking to industry best practices will be made available as resources to all users. As advocates to student success, Digication will continue to invest in our video series named “Student Work Matters" athttp://video.digication.com. Digication is in the process of creating a formal online user group, as well as regional, in-person meetings. In the next 5 years, we hope to create a Digication Distinguished Educators program where we can highlight some of the most exciting work that is being carried out around the world. Millions of pages of portfolios have been created in Digication. Many of them are intended by students to promote themselves to potential employers. While forming strategic partnerships with professional networks such as Linkedin, Digication is also creating an employer friendly portal that will allow them to start creating meaningful relationships with students and the institutions.